Located near popular public beaches and the Watch Hill seaside community, Westerly is a year-round center of arts activity and percolating revitalization. Grand nineteenth- and twentieth-century brick and stone buildings in various states of refurbishment and occupancy sit around the wonderful Wilcox Park. 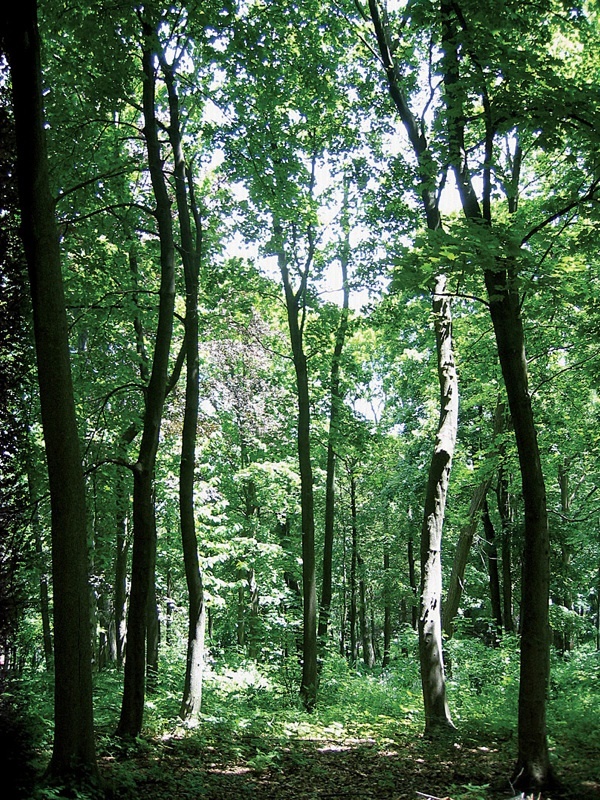 This arboretum-styled landscape was designed by an associate of Frederick Law Olmsted and boasts old-growth trees, a giant cedar grove, and perennial gardens pleasant to walk in. An open meadow also slopes toward a renovated fish pond, offering sunny expanses for reading, napping, and playing on the grass. The park is owned and operated by the Westerly Public Library, opened as a memorial to Civil War soldiers and sailors in 1894, during the community’s heyday as a primary source of granite for buildings and monuments across the nation. 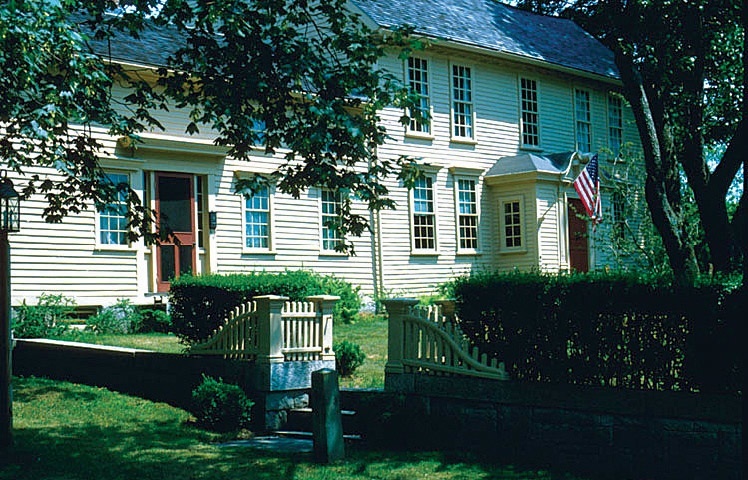 The Babcock-Smith House Museum (www.babcock-smithhouse.com), near the spot where granite was discovered in the area in 1845, helps elucidate this industrial history. The library itself, a private, nonprofit organization, is a town hub. It will soon reopen its Hoxie Gallery, which displays the work of local artists, and hosts many popular gatherings, including art festivals and summer concerts in the park. There has been an on-again, off-again concerted effort to revitalize Westerly, which sits just across the Connecticut border, during the last two decades. 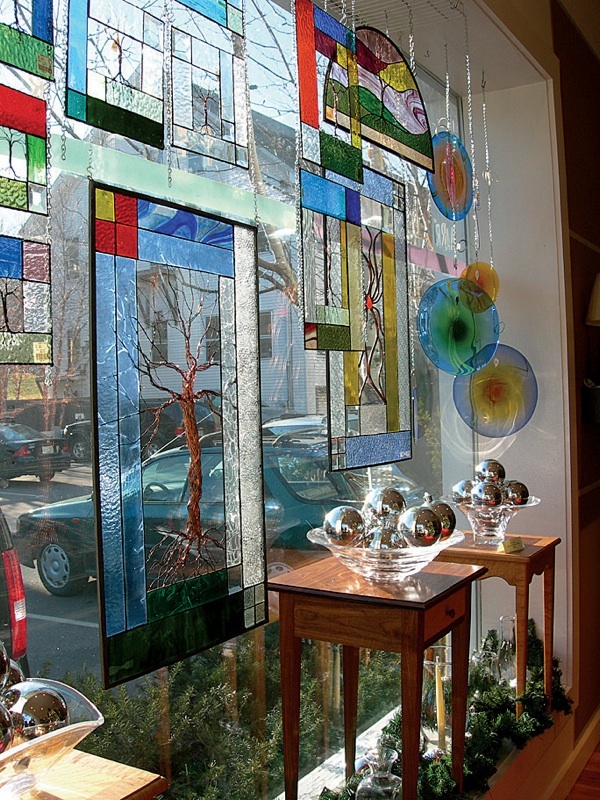 Organizations like the Artists’ Cooperative Gallery (www.westerlyarts.com)—started in 1992 as a focal point for regional artists, it now offers rotating monthly exhibits and juried shows—and the Westerly Land Trust (www.westerlylandtrust.org), active in preserving both rural land and urban properties, have been instrumental in the process, as has the concentrated financing and attention of mutual-fund manager Charles Royce, a longtime summer resident. In recent years the trust has bought the former United Theater, built in 1928, and the majestic, granite-faced Industrial Trust Bank. Plans are under way to preserve and try to re-adapt those sites. The Colonial Theater (www.thecolonialtheater.org) runs an annual Shakespeare festival—in July there are free outdoor performances of The Tempest in Wilcox Park—while the Granite Theatre (www.granitetheatre.com) offers plays and musicals year-round. A heralded jazz venue, the Knickerbocker Café (www.theknickerbockercafe.com) has been newly renovated and boasts a line-up of bands and danceable music. Not every redevelopment effort comes to fruition, of course, or ultimately succeeds. Visitors may see some obvious lags in the local rebuilding efforts. But Westerly’s clear draw lies in this very dynamic, in its eclectic, organic mix of funky and traditional: it has not been “quaintified.” The Corks and Perks (coffeehouse by day, dynamic bar by night) coexists smoothly with the “real drinks for real people” Danny’s Bar; the natural-foods store and the auto-parts outlet serve the same patrons. Moreover, the number of independently owned, diverse restaurants is reassuring in this age of commercial sprawl and chain businesses. Take the Van Ghent Café (www.vanghentcafewesterly.com), a Belgian breakfast and lunch place, for example, and 84 High Street (www.84highstreet.com), known for generous portions of American food, or the Prime Time Café (www.ptcafe.com), a great place for dining with young children. The relatively new Bridge Restaurant (www.bridgeri.com) has a diverse menu with good vegetarian options along with fresh seafood. Its relaxing outdoor patio overlooks the Pawcatuck River, which separates Westerly and its neighboring sister community, Pawcatuck, Connecticut (which is part of the town of Stonington and includes a historic district with sites ranging from shipworks and mills to worker housing). The beaches, about a 15-minute drive from Westerly (or a longer but doable bike trip), tend to please everyone. Misquamicut State Park offers public access to sand and sun, and the usual assortment of snack bars and ice-cream and T-shirt shops. The more affluent Watch Hill, on a spit of land leading to Narragansett Bay and the Rhode Island Sound, is a car or bike ride away from the public beach and has restaurants, shops, and hotels. The most opulent is the Ocean House (www.oceanhouseri.com), a $140-million hotel, resort, and condominium complex (that opened in 2009, once again through the efforts of Charles Royce). A replica of the eponymous Gilded Age hotel, the new version is beautiful to behold, and, not surprisingly, expensive. For other options just minutes from Misquamicut, try the quiet country setting of the Woody Hill B & B (www.woodyhill.com), the homey ambience of Grandview B & B (www.grandviewbandb.com), or head back downtown, take in a show you can easily walk to, and stay within sight of Wilcox Park at the Parkside East B & B (www.parksideeastbandb.com). It may surprise some to know that this former industrial giant of a city is more than worth spending time in as a tourist. The urban center rivals Providence in size and offers not only a wide range of art, culture, and history but a disproportionate number of great restaurants, parks, a lake—and a string of fun vintage-clothing and home-goods stores. Where to begin? 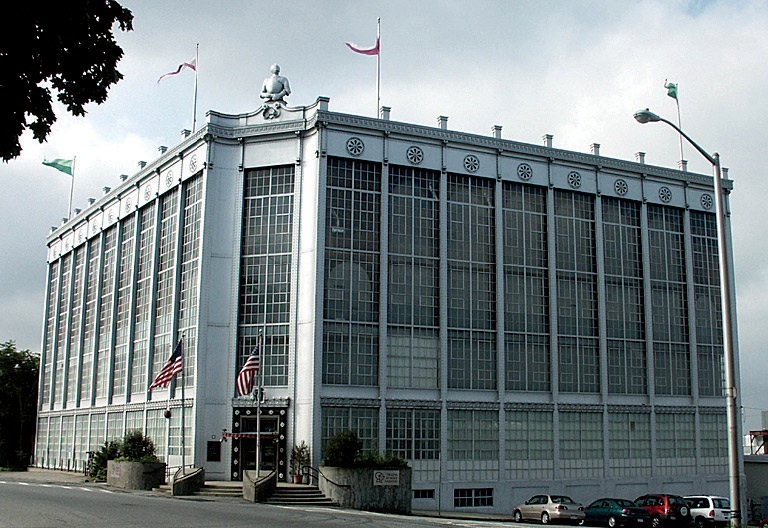 The Higgins Armory (www.higgins.org) is a testament to founder John Woodman Higgins’s passion for steel. He spent his life collecting it, mostly in the form of armor, finally erecting a four-story Art Deco-style building (now on the National Register of Historic Places) to house most of it as an educational resource for the public. 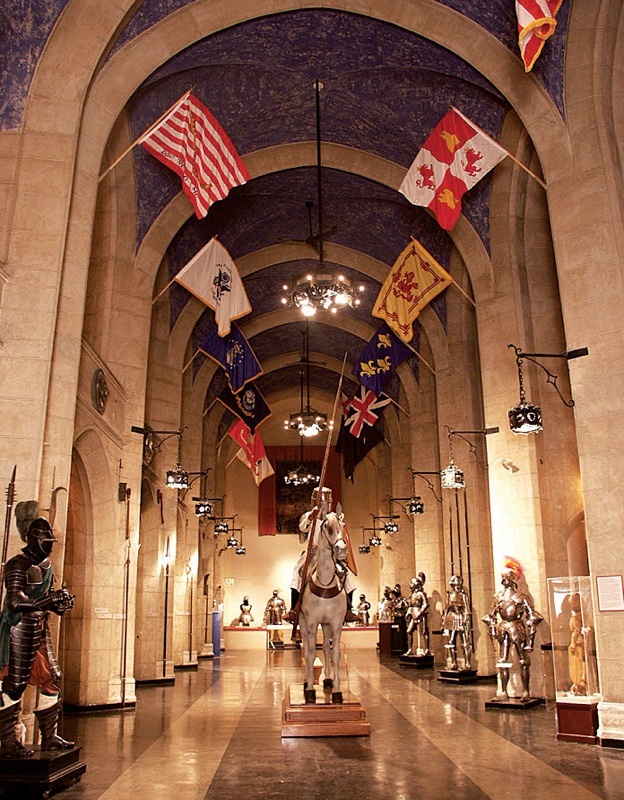 The building holds more than 5,000 items, including European swords, daggers, gauntlets, spears, and complete suits of armor, as well as elaborate helmets (including one from 550 b.c.e. ), along with less familiar weapons and armor from African nations, India, Turkey, and Japan. Weekend programs may offer combat demonstrations, living-history group reenactments, and explorations of the culture of knighthood. There is also a unique “OverKnight” interactive parent-child program for groups, and the building may be rented for parties. Downtown’s Worcester Art Museum (www.worcesterart.org) has a dynamic permanent collection of creative works from around the world, as well as thought-provoking temporary exhibits, such as The Strange Life of Objects: The Art of Annette Lemieux (through October 9) and an exploration of Leisure, Pleasure, and the Debut of the Modern French Woman (through September 11) featuring eighteenth- and nineteenth-century prints and illustrations. 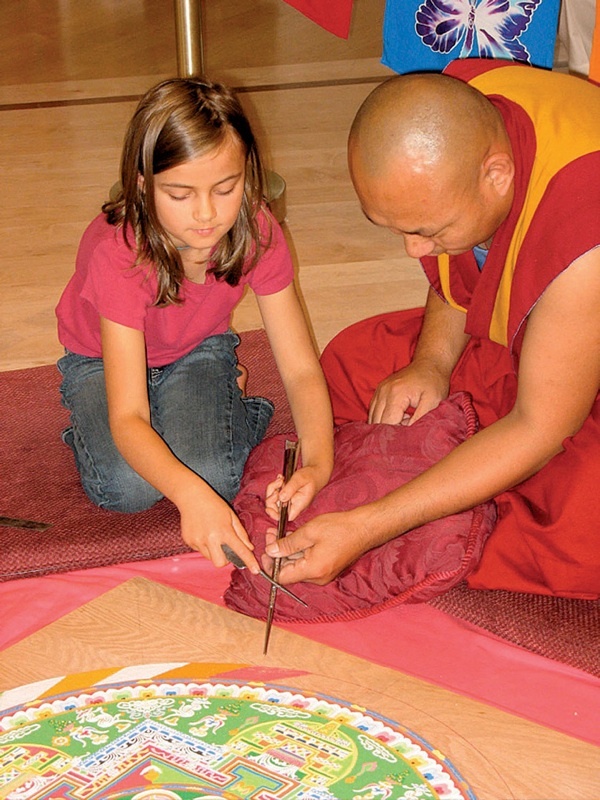 Children, teenagers, and adults can also take a range of art classes and workshops. For outdoor fun, Regatta Point, on Quinsigamond Lake, a short drive from downtown, offers swimming, sailing, and inexpensive canoe rentals. 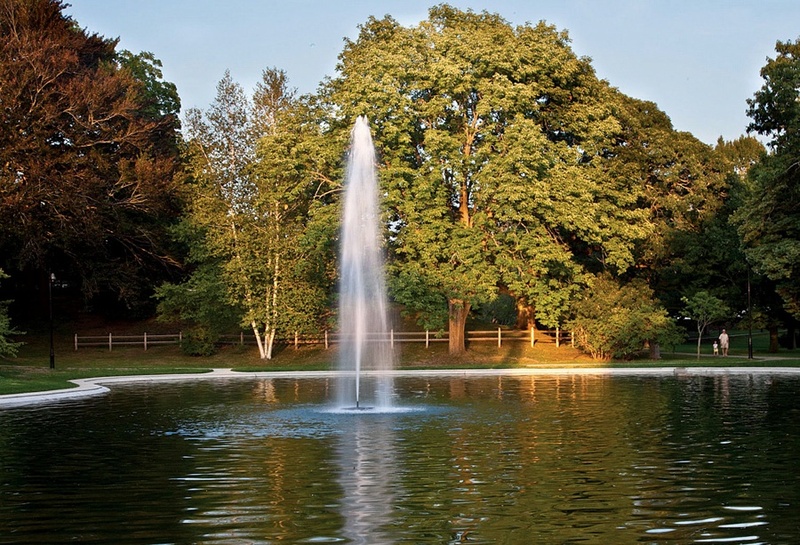 There is also the 60-acre Elm Park, among the first parcels of land bought (28 initial acres in 1854) by a municipality with the intention of creating a park; it was later developed by the firm of Frederick Law Olmsted and is still an oasis with walking and biking paths, fountains, and places to picnic. Less well known is Clark University’s Hadwen Arboretum (www.clarku.edu/students/outingclub/resources/Arboretum_historical_notes.pdf or www.massachusetts-mapsite.com/us_ma_hadwen_arboretum_vt.html). A 1907 bequest, it had at one time more than 400 varieties of trees; though it could be more thoroughly cared for today, it is still a wonderful place to poke around in. Worcester’s long industrial history has always drawn immigrants; today, the city houses newer arrivals, including Brazilians, Vietnamese, and Congolese. Ethnic restaurants abound amid the more established places and newcomers to the gourmet scene. Try the Vietnamese food at Pho Dakao (593 Park Avenue) and the vegetarian dishes at Quan Yin (56 Hamilton Street), or African fare at Tropical Gardens (344 Chandler Street). For big portions and a fun twist on pastas and Mexican food, go to the Flying Rhino (www.flyingrhinocafe.com) on Shrewsbury Street—Worcester’s restaurant row. The newer Haiku Sushi (www.haikurestaurant.com) doubles as a steakhouse: where else can you order the 14-ounce “cowboy rib-eye” steak with your miso soup? Seafood lovers who want a more buzzing social milieu might want to experience the favored Sole Proprietor (www.thesole.com), which features a giant inflatable crab on its roof during the summer. The menu offers classic New England maritime fare along with sushi specialties and irresistible desserts, such as whoopie pies and banana splits. For a full taste of the range of Worcester’s restaurants, visit the city’s weekly alternative newspaper at www.worcestermag.com/chow/reviews. Worcester has a few shopping districts, but those looking for unusual items should stop into Unique Boutik and the Futon Co. (home goods and local art), across the street from the Sole Proprietor. Or drive across town to a burgeoning restaurant and retail area called the Blackstone Canal District and check out Blackstone Vignettes (a resale cooperative), vintage clothing store Alexis Grace, or two home goods/salvage places called Provenance and Architectural Garage. Lodging options are far more routine. The chains—Hilton, Marriott, Quality Inn, and Hampton—all have hotels in Worcester, and the “luxury” choice is the largely impersonal Beechwood Hotel and conference center (www.beechwoodhotel.com), located away from downtown near the University of Massachusetts medical center by Lake Quinsigamond. The “Peterborough Idea,” conceived around the turn of the last century, was a way to give diverse artists a peaceful place to create in the company of their peers. It was the founding principle of the MacDowell Colony, started on a local farm by composer Edward MacDowell and his wife, Marian, and has since grown into a major force in the art world. It has also helped shape the course of this scenic New England town—immortalized in Our Town, written by Thornton Wilder, a one-time colony resident. Nestled along the Contoocook River, Peterborough is home to about3,000 residents. It was historically a prosperous mill town within the Monadnock region but has long reveled in its reputation as a serious center for the arts, summer residents, and culture-minded retirees. The Sharon Arts Fine Craft Gallery downtown (www.sharonarts.org/shop/fine-craft-gallery-info) offers works by regional artists and exhibits; it is an arm of the nearby Sharon Arts School of Art and Craft, which runs classes for all ages, year-round. 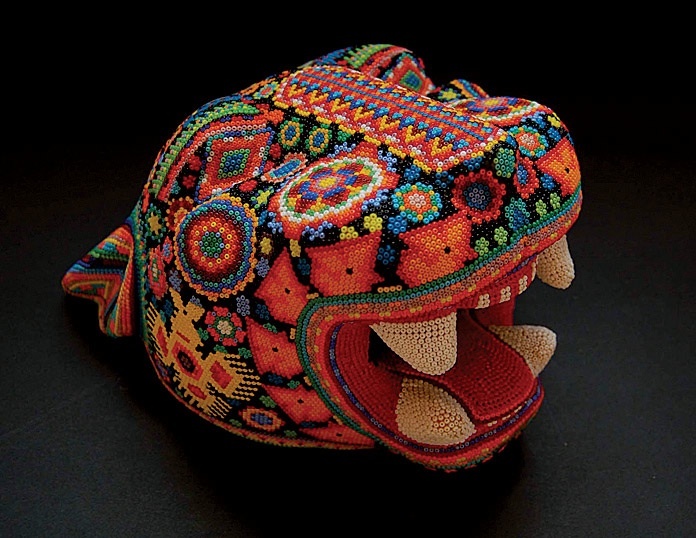 The Mariposa Museum and World Culture Center (www.mariposamuseum.org) seeks to teach people about art and traditions across the globe. It holds a small but intriguing collection of international folk art, and encourages visitors to “Please Touch”; children can dress up in kimonos, play musical instruments, and put on puppet shows. The museum, co-founded by David Blair ’70 and his late wife, Linda Marsella ’70, also hosts unusual exhibits and events that explore world culture, art forms, and spirituality: this spring, for example, visitors could learn about an ikonostasi (a Greek Orthodox home altar) and an elephant orphanage in Kenya, or they could watch a Mevlevi Turning Ceremony, a sacred whirling exercise founded in Turkey hundreds of years ago. 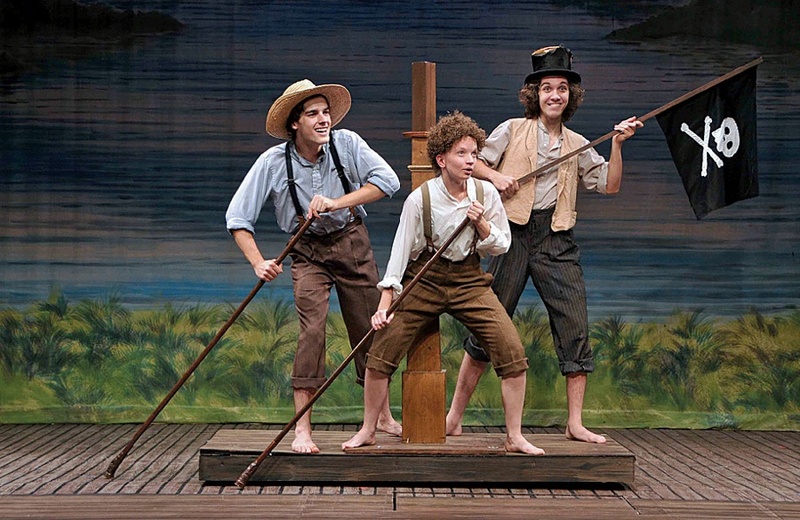 The town has a rich theatrical tradition and still boasts the Peterborough Players (www.peterboroughplayers.org), a professional theater troupe established in 1933. Summer shows include Arms and the Man, Measure for Measure, and Puss In Boots. Accommodations run the gamut. The Peteridge at the Pond (www.peteridge.com) has two guest houses for larger families or groups and the Three Maples (www.threemaples.com) in Sharon has hiking and walking trails from the back door. In nearby Troy, The Inn at East Hill Farm (www.east-hill-farm.com) is a great, old-style, low-key family resort, complete with bingo and ping- pong tournaments, while the Jack Daniels Motor Inn (www.jackdanielsmotorinn.com), located right in downtown, is simply clean and comfortable—and an easy walk for coffee at Aesop’s Tables in the welcoming Toadstool Bookstore. Food choices downtown include the hearty American-style bistro lunch or dinner at Harlow’s Deli, Café, and Pub (www.harlowspub.com) with great live jazz and dance music at night. Or visitors of all ages may enjoy sliding onto stools at the historic Peterborough Diner (www.peterboroughdiner.com), housed in an original 1950 Worcester Lunch Car. For outdoor trips, the Monadnock region offers its eponymous mountain, one of the most-climbed in New England, but also has a surprising diversity of other parks and trails of interest, such as the 1,672-acre Wapack National Wildlife Reserve (www.fws.gov/wapack) southeast of Peterborough, which includes a 21-mile spur of the Appalachian Trail, or Casalis State Forest (www.greater-peterborough-chamber.com/new-hampshire-camping.html), with hikes that connect to Temple Mountain. 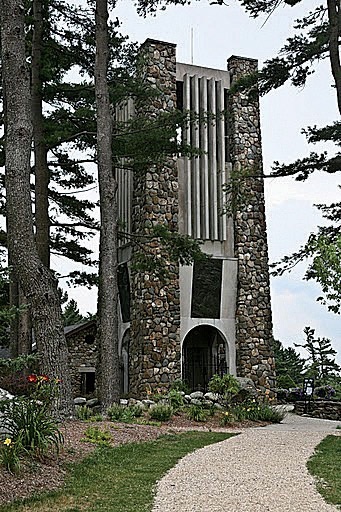 For quiet contemplation, consider a trip to the Cathedral of the Pines (www.cathedralofthepines.org), an interfaith center and memorial grounds open May through October.